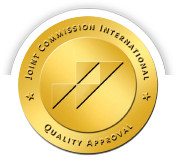 To provide international standard of healthcare services. To provide highly trained medical staff who are trained in the most up-to-date medical techniques and modern methods of patient care. To use modern medical equipment which are correctly and regularly maintained. To provide friendly and efficient service. To provide the finest amenities ensuring the highest standards of cleanliness and hygiene. To receive considerate, courteous, appropriate and cost-effective care, regardless of your age, gender, race, nationality, religion, social status, physical and mental abilities. To have your emotional, social, spiritual and cultural needs respected. To have your privacy respected. To have personal and medical information kept confidential. To receive visitors during your stay in line with FVH Visiting Policy. To be protected from harm, theft and loss. To be explained your medical condition, treatment options and expected results in a language you can understand (with the help of an interpreter whenever possible). To be explained the anticipated costs of care before investigations, hospitalization or treatment are performed. To know the identity of the doctor in charge of your care as well as the names of the other members of the healthcare team. To know the names of any medication prescribed, its normal actions and potential side-effects. To know the care needed after discharge. To know the process for voicing complaints, conflicts, differences of opinion as well as compliments and suggestions. To include family members of your choice in or exclude them from discussions about your care. To grant informed consent, to withdraw your consent. To refuse hospitalization, investigations or treatment. To request a second opinion. To consent or decline to participate in any research project. To have appropriate assessment and management of pain. To receive prompt treatment for any emergency. To receive continuity of care. To be free from restraint or seclusion unless medically required in case of imminent harm to yourself or others. Provide as much information as you can about present health, past ilnesses, hospitalization(s), treatment(s) taken, allergy and other relevant details. Provide complete and accurate personal particulars including full name, address, contact numbers and date of birth. Communicate changes in your health and/or condition. Follow the prescribed and agreed treatment plan and comply with health instructions. Ask questions if you do not understand diagnosis, plan of care or treatment. Take responsibility for any consequences if you refuse medical treatment or leave the hospital against medical advice. Inform the hospital of any obstacles which you may face in complying with the treatment plan. Abide by hospital rules and regulations pertaining to patients and visitors. Treat hospital staff, other patients and visitors with courtesy and respect. Keep scheduled appointments or cancel them in advance. Respect other patient’s privacy and confidentiality. Treat the hospital’s properties and facilities with due care and responsibility. Meet financial obligations to FV Hospital.